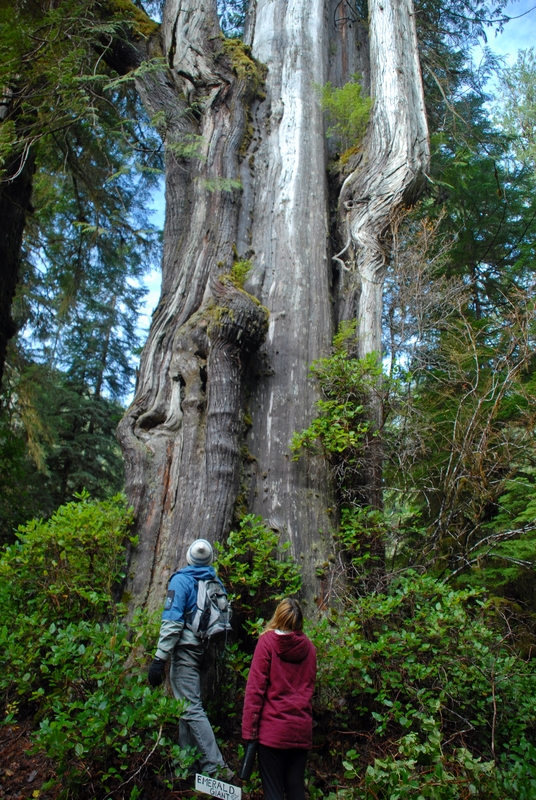 Twenty-five international environmental organizations are calling for immediate action to protect and restore Vancouver Island’s endangered old-growth rainforest and its species diversity, carbon storage and benefits for a diverse economy including forestry, tourism and wild salmon in indigenous and non-indigenous communities on Canada’s west coast. The call for action is an initiative of Sierra Club BC. “We are concerned that the BC government is not taking our global responsibility for Vancouver Island’s endangered rainforest seriously. Temperate rainforest ecosystems only exist on a miniscule portion of the planet but we are logging the original primary island rainforest three times faster than tropical rainforest is being destroyed,” said Jens Wieting, forest and climate campaigner with Sierra Club BC. Globally, the loss of primary forests – characterized by ecological processes largely undisturbed by human activity – is threatening species, carbon storage and environmental services. In some countries this is primarily in the form of deforestation; in other countries such as Canada, this is primarily through the replacement of rich ancient forests with even-aged young forest. According to the Food and Agriculture Organization of the United Nations, tropical countries showed an overall decline of 10 percent of their primary forest in the last 25 years (from 1990 to 2015). 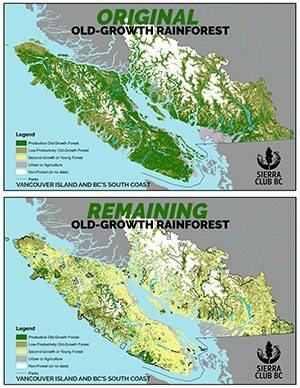 Sierra Club BC’s data shows that between 1990 and 2015, Vancouver Island’s primary old-growth forest has declined by 30 per cent. The original extent of old-growth rainforest on Vancouver Island was 2,600,000 hectares, of which an estimated 1,082,000 hectares were remaining by 1990. By 2015 the remaining old-growth was reduced to 748,000 hectares, a decline of 30 percent over the course of just 25 years. Only about 10 percent of the biggest trees remain standing. The BC government does not share detailed information about the rate at which Vancouver Island’s old-growth rainforest gets logged. Available provincial information is superficial and exaggerates the percentage of remaining old-growth on Vancouver Island by excluding private land and including very poor productivity ecosystems with very small trees. “Gaps in monitoring and reporting about the health of provincial forest ecosystems play a major role in poor forest management in BC such as overharvesting,” said Wieting. “Sierra Club BC has reported for many years as accurately as possible to fill this gap because the provincial government has not been fulfilling its duty to properly monitor and manage BC’s forests.” Sierra Club BC reports use publicly available forest cover data, filling gaps with Landsat classification, distinguishing the state of coastal old-growth by ecosystems in different regions, and comparing to the historic extent. The call for action is also supported by a number of organizations from tropical rainforest countries. One of these organizations is SINFONÍA TRÓPICO in Colombia. 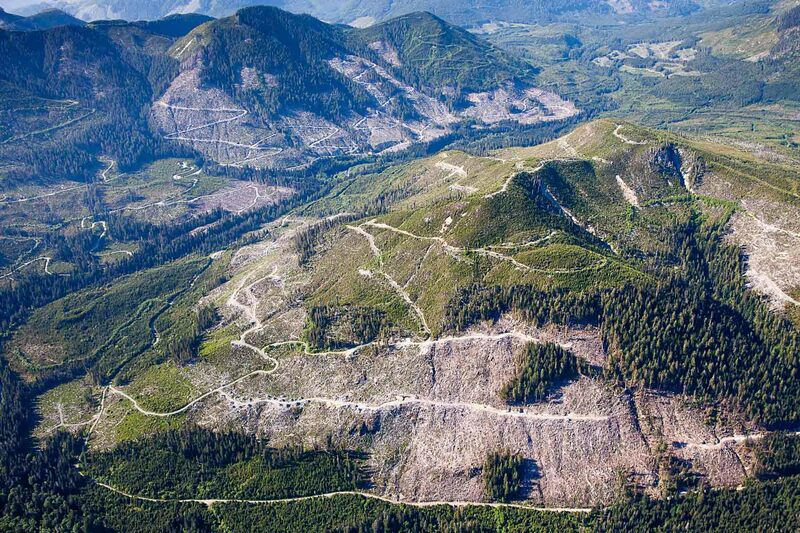 Extensive clearcutting on Southern Vancouver Island threatens species habitat, carbon storage and communities. Photo by TJ Watt. The 2016 Great Bear Rainforest Agreements by First Nations governments and the BC government shows that solutions are possible. The agreements met science-based conservation levels, strengthened First Nations rights, enabled conservation financing and forest carbon credit projects, and gave forestry companies certainty for logging under stringent standards. In contrast, south of the Great Bear region, coastal rainforests are in a state of ecological emergency as a result of too much logging and a dismal level of protection. Remaining intact rainforest areas imminently threatened by logging such as the Central Walbran and East Creek need immediate conservation measures. There is one region of hope on Vancouver Island: The land use vision announced by the Ahousaht First Nation in January outlines a way forward for Indigenous stewardship in Vancouver Island’s most intact tracts of old-growth forest. Read about this great news in a piece by our Forest and Climate Campaigner Jens Wieting in The Tyee. New protected areas and conservation measures for Vancouver Island must respect First Nations rights and interests, enable a transition to sustainable second-growth forestry and support diverse economic activities such as tourism and reduce carbon emissions. The hectare numbers for remaining old-growth on Vancouver Island given in the press release include high, medium and poor productivity rainforest ecosystems (not very poor). The percentage of remaining high and medium productivity old-growth ecosystems (without poor) is even smaller because these forests grow bigger trees and are therefore of greater interest for logging. Landscapes with the best growing conditions (High productivity, low altitude (<300m) and without significant slope (<17%)) have less than 10 percent remaining old-growth forests and less than 4 percent of these types of forest are protected from logging. Find more information on logging rates or the state of the forest on Vancouver Island. Learn more about our efforts to protect Vancouver Island’s endangered coastal rainforests. Please donate today to help Sierra Club BC conserve and defend BC’s wild places and species. Sierra Club BC’s data shows that between 1990 and 2015, Vancouver Island’s primary old-growth forest has declined by 30 per cent. The original extent of old-growth rainforest on Vancouver Island was 2,872,000 hectares, of which an estimated 1,082,000 hectares were remaining by 1990. By 2015 the remaining old-growth was reduced to 748,000 hectares, a decline of 30 percent over the course of just 25 years. Only about 10 percent of the biggest trees remain standing. 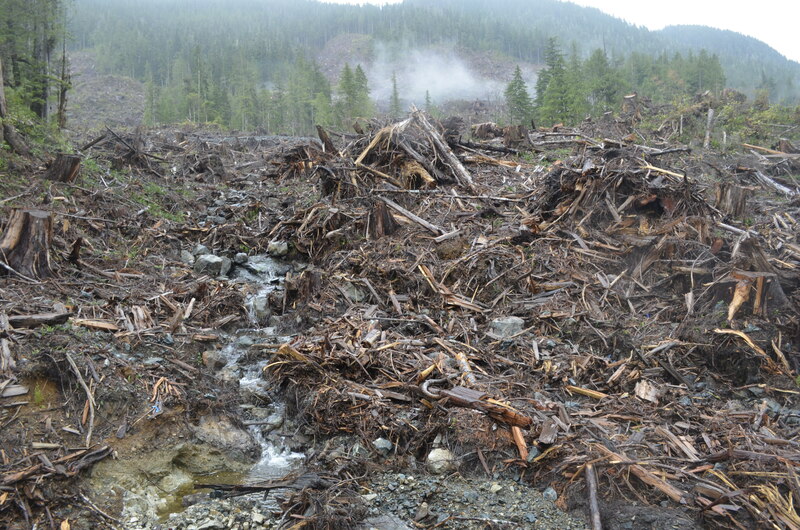 The BC government’s Forest Practices Board (FPB) released its findings today regarding Sierra Club BC’s May 2016 complaint about Lemare Lake Logging Ltd. logging practices in the East Creek area. East Creek is located adjacent to the Mquqᵂin – Brooks Peninsula Provincial Park, in Kwakwaka’wakw territory and forms part of the largest remaining contiguous ancient rainforest on northern Vancouver Island. East Creek logging. Photo by TJ Watt. The FPB investigation considered two questions: whether the licensee complied with the Forest Range Practices Act (FRPA) and the Vancouver Island Land Use Plan (VILUP) and whether the licensee provided the complainant with reasonable access to site plans (SPs). The Board concluded that the licensee complied with FRPA and VILUP while conducting its operations. On the second question, the Board concluded that the licensee did not provide the complainant with reasonable access to SPs “on request at any reasonable time” as required by FRPA. 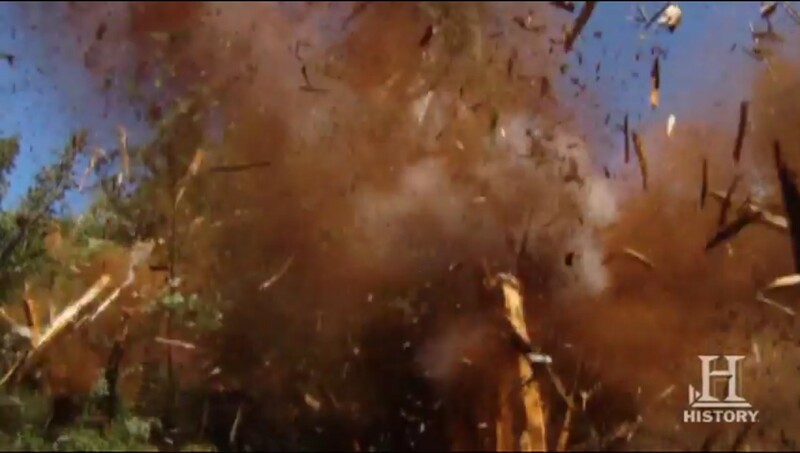 Old-growth tree being exploded at Lemare Lake operations. East Creek is located in the Klaskish landscape unit – the area in light green north of the Protected Brooks Peninsula. It is the only unprotected landscape unit with close to 70 percent remaining productive old-growth rainforest on Northern Vancouver Island. There is growing support for protecting the remaining endangered old-growth rainforest and shifting to sustainable second-growth forestry on Vancouver Island, including from municipalities, chambers of commerce and a number of First Nations and unions. Sierra Club BC warned in 2016 that a 12 percent increase in the annual old-growth logging rate on the island (recently at 9,000 hectares per year) will lead to an ecological and economic collapse. The most productive types of rainforest ecosystems, with the biggest trees, unique habitat and tourism values are now in their single digits of remaining old-growth. At the same time second-growth forests are being clearcut at a young age, often at less than 60 or 80 years, allowing no recovery of old-growth characteristics across vast areas on Vancouver Island. 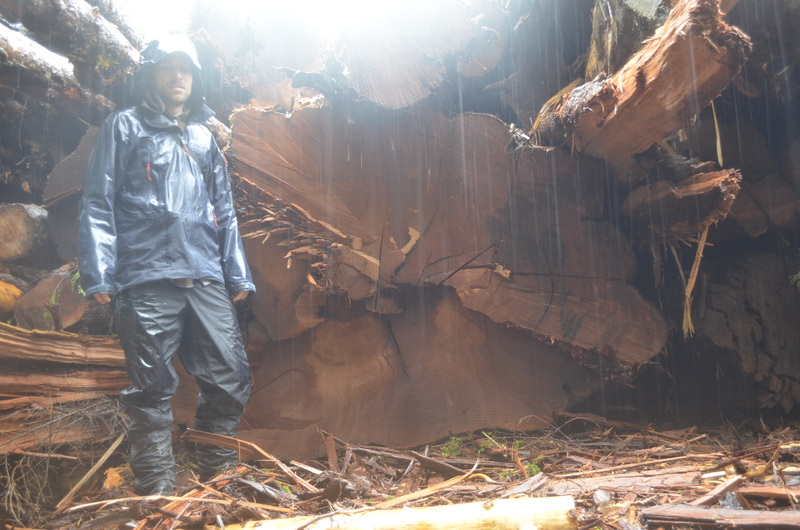 “The East Creek investigation shows everything that is wrong with rainforest conservation and management on Vancouver Island – BC’s forestry regulation has no consideration of how little intact rainforest is left on the island and there is no legal impediment to logging the last old-growth trees outside of protected areas.” said Wieting. 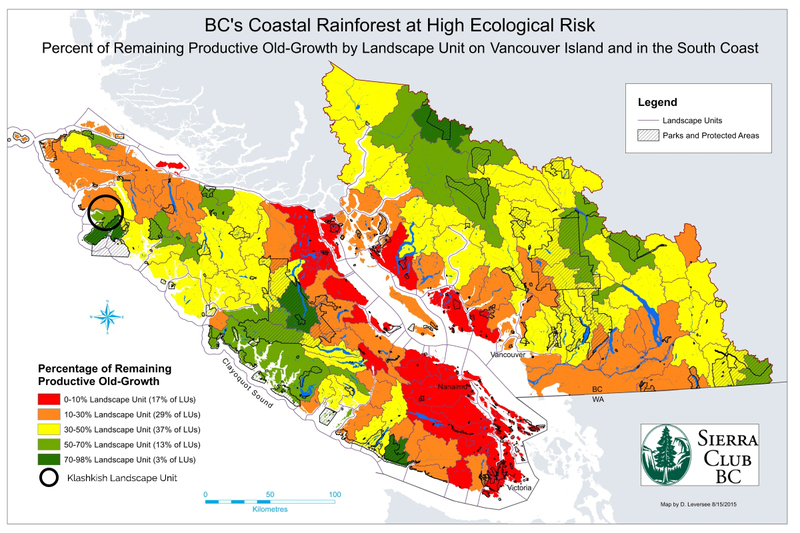 A 2015 Sierra Club BC mapping analysis showed East Creek on the northern island and the Walbran on the southern island as the only two remaining largely intact unprotected landscapes, with a percentage of productive old-growth rainforest close to the threshold indicating low ecological risk (70%). These remaining intact areas are critical ecological stepstones between the Great Bear Rainforest, Clayoquot Sound and Pacific Rim National Park. Solutions for healthy forests and healthy communities similar to those developed in the Great Bear Rainforest are needed along the entire B.C. coast, not just one part of it. East Creek and the Central Walbran are among the most important examples of intact, unprotected, productive coastal old-growth on Vancouver Island that need immediate action or will be lost forever. Sierra Club BC supports sustainable, second growth harvesting and local, value-added processing that creates a higher number of jobs per cubic metre, such that we can sustain healthy forest-based communities and local forestry jobs into the future. The time has come to end logging of endangered old-growth forests on Vancouver Island and B.C.’s south coast. First Nations, communities, organizations, and citizens are calling for the protection of old-growth forests. Their voices are getting louder, more varied, and more numerous. 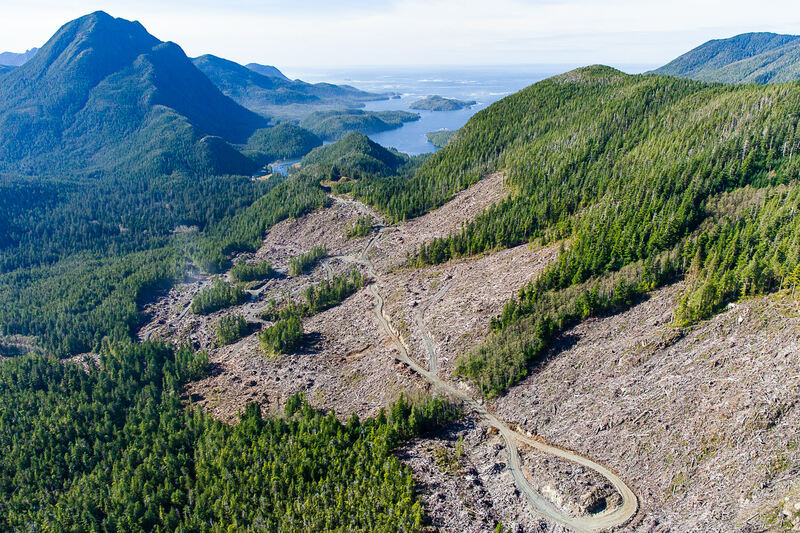 A shift is underway since leaders of the Ahousaht First Nation in Clayoquot Sound announced an end to industrial scale logging in their Hahoulthlee (traditional territory) in October 2015. This spring, Sierra Club BC released its latest data in form of a Google Earth tool showing the ecological emergency for endangered old-growth rainforest on Vancouver Island. Politicians and logging companies are hearing over and over the same call: old-growth is far too valuable to destroy. This was the headline of an article featured in many Vancouver Island newspapers discussing a “dramatic shift in Island thinking.”And it was just one of many media articles in previous weeks highlighting the momentum. Old-growth in the Walbran Valley. Looking at the old-growth logging more broadly shows that many Vancouver Island communities must diversify their economies to move beyond resource extraction dependant livelihoods and avoid ending up as ghost towns. It is time to thrust ourselves into a just transition away from ecologically destructive logging of Vancouver Island’s finite non-renewable old-growth to a diverse economy including old-growth tourism, sustainable, value added second-growth forestry, conservation financing and carbon revenue for First Nations (such as in the Great Bear Rainforest and the Cheakamus Community Forest Carbon project). While many were calling for an end to old-growth logging, others were highlighting the damage currently taking place in our ancient forests. The Tyee and numerous Vancouver Island newspapers reported on Sierra Club BC’s work to increase scrutiny and awareness about poor practices and destructive logging of some of the last intact old-growth rainforest on Northern Vancouver Island by Lemare Lake Logging in East Creek. Also in June, the Vancouver Sun’s Stephen Hume stated that proposed logging in the endangered Cameron Valley Ancient Forest (“Firebreak”) on Vancouver Island would be “a crime against nature”. In July, Hume reported on Sierra Club BC’s study showing that high rates of old growth rainforest logging on Vancouver Island will lead to an ecological and economic collapse in a generation unless provincial government policy changes. The recent completion of the final steps of the Great Bear Rainforest Agreements through First Nations governments and the BC government, with the support of a group of environmental organizations and logging companies, shows that solutions are possible. As a result of the agreements, 85 percent (3.1 million hectares) of the region’s coastal temperate rainforests are now off-limits to industrial logging. The amount of old-growth available as part of the remaining 15 percent of the forest will be capped and subject to the most stringent commercial logging legal standards in North America. In contrast, very little old-growth remains in the southern half of the coast, and even less is protected. Help us continue to protect B.C’s natural spaces by donating today. Sign-up for Sierra Club BC news to stay up-to-date and next steps in the fight to save our endangered old-growth rainforest. For five months, Lemare Lake Logging Ltd. has barred access to the public and Sierra Club BC to site plans for its current operations in East Creek on Vancouver Island. This directly contravenes the Forest and Range Practices Act. Lemare has evaded its legal obligation to provide the plans by cancelling appointments, providing extremely limited scheduling opportunities and refusing to provide the plans in person. Sierra Club BC is calling for action to avoid further destruction of irreplaceable ecological and cultural values until appropriate conservation planning has been undertaken and the company has changed its practices. A formal complaint has been filed with the BC Forest Practices Board. What does Lemare Lake Logging have to hide? Sierra Club BC visited East Creek on a routine exploration of old-growth valleys in the fall and found the company was logging fast and furious, literally blowing up old-growth trees with blasting charges. Evidently non-compliant logging practices are compromising salmon spawning habitat, water quality, marbled murrelet nesting trees and northern goshawk habitat. Lemare Lake Logging is taking advantage of lax rules and virtually non-existent enforcement to evade accountability and destroy endangered old-growth rainforest. Over the past 15 years, a combination of legislative and regulatory changes and cutbacks in compliance and enforcement and other staff in the Ministry of Forests, Range and Natural Resource Operations has made it next to impossible in many parts of the province to know the state of our forests and easier for logging companies who chose to hide information from the public about what they are doing in the woods. Out of sight, out of mind seems to be government’s approach when it comes to logging the last ancient giants on Vancouver Island. Section 11 of the Forest and Range Practices Act requires logging companies to make their site plans publicly available “at any reasonable time”upon request at the company’s place of business. Rapidly harvesting old-growth and exporting raw logs out of the province is bad economics. Instead, more jobs and forest-based communities could be supported by sustainable harvesting of second growth forests and local processing and manufacturing. Solutions for healthy ecosystems and healthy communities similar to those found in the Great Bear Rainforest are needed along the entire coastal rainforest region of the province, not just one part of it. East Creek and the Central Walbran are among the most important examples of intact, unprotected, productive coastal old-growth south of the Great Bear Rainforest that need immediate action or will be lost forever. A formal complaint has been filed with the BC Forest Practices Board. East Creek is located adjacent to the Mquqᵂin – Brooks Peninsula Provincial Park, in traditional Kwakwaka’wakw territory and forms part of the largest remaining contiguousancient rainforest on northern Vancouver Island. 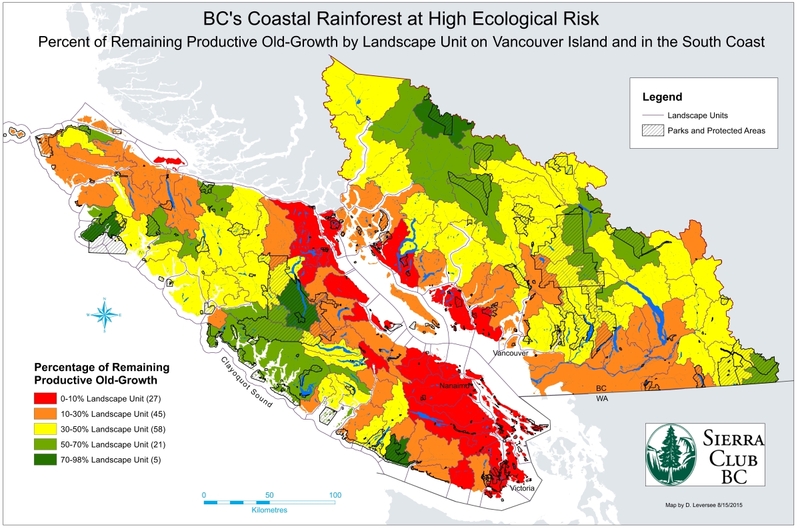 A recent Sierra Club mapping analysis showed East Creek on the northern island and the Walbran on the southern island among the most critical remaining intact areas and ecological stepstones between the Great Bear Rainforest, Clayoquot Sound and Pacific Rim National Park.